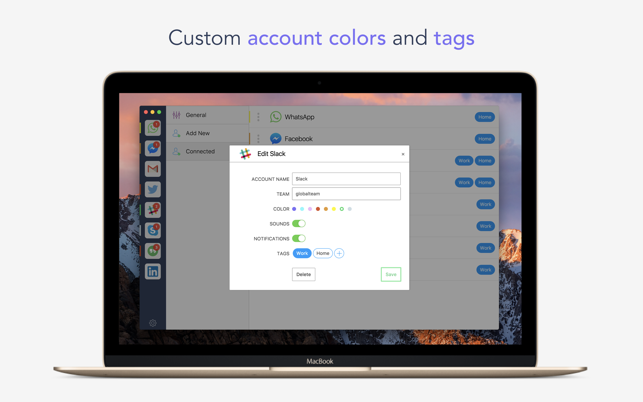 IM+ supports WhatsApp, Telegram, Facebook Messenger, Facebook, Twitter, Slack, Skype, Gmail, Hangouts, LinkedIn Messaging, Instagram, SnapMap, WeChat, ChatWork and Tinder in one simple app. 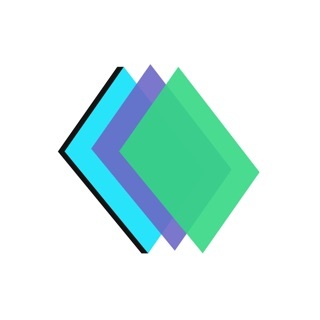 IM+ for iPhone has been used by over 10 million people and featured on Wired, Engadget, TechCrunch, Forbes, Bloomberg, The New York Times, and many more. And you will love IM+ on Mac too! Log in once into your favorite messengers and services, and gone will be the days of endless app switching. 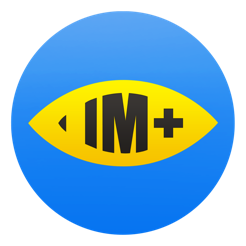 The whole IM+ experience was designed for Mac OS X. If IM+ improves your messaging life, we would appreciate an App Store review. Thank you! If you enjoy using IM+, we would highly appreciate a review. Thank you! The window is 'non-standard' and does not remember size or position or last service used between launches. Each 'service' has its own separate process and so the app as a whole can use many GB of memory if you have more than 2-3 services. Nevertheless is better having all the services under 'one roof' and better to use when sitting behind a computer than always reaching for phone. Good idea... but really overpriced... as is worth $4 max. I would pay up to $10 if everything worked well with more control and better standards (NO RIGHT CLICK OR SPELL CHECK!!!???). Finally got IM and don't regret it. 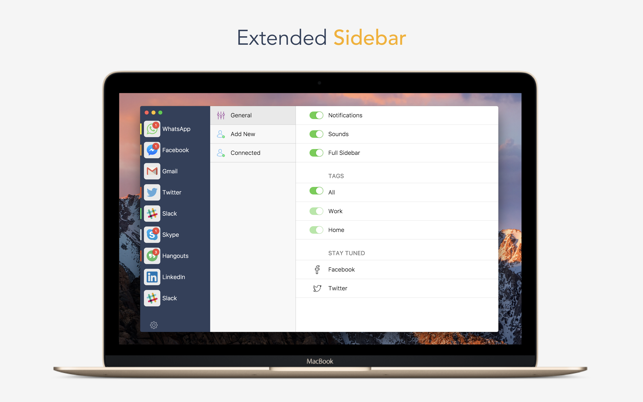 Read through some reviews before, and must say that it works without issues on my 13'' MacBook Pro. 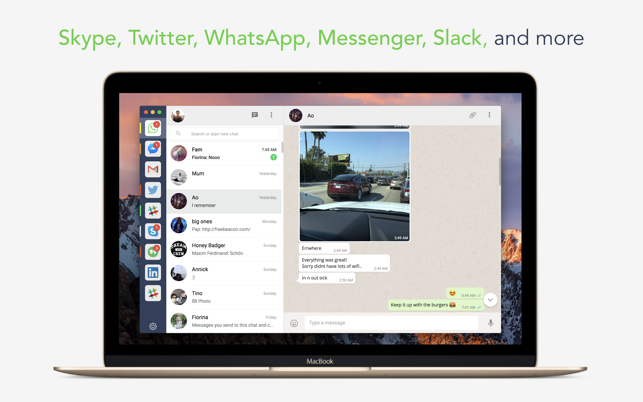 Slack works great, all notifications arrive, WhatsApp is blazingly fast. Really can't complain.